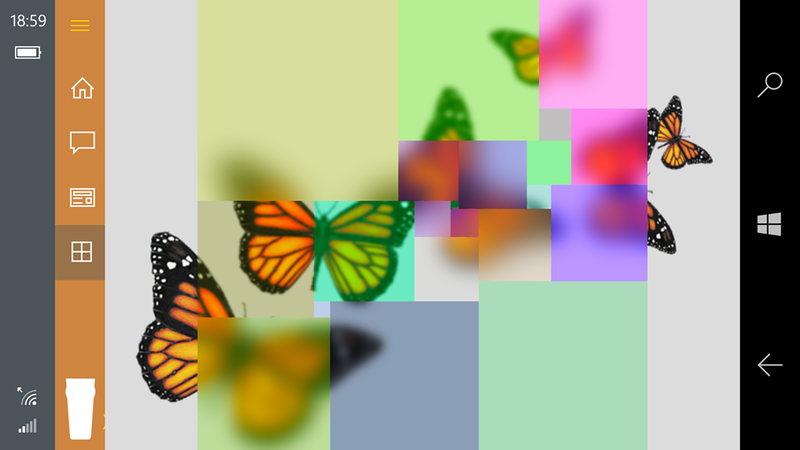 When diving into the source code, I discovered the BackDrop control and immediately decided to give it a spin. 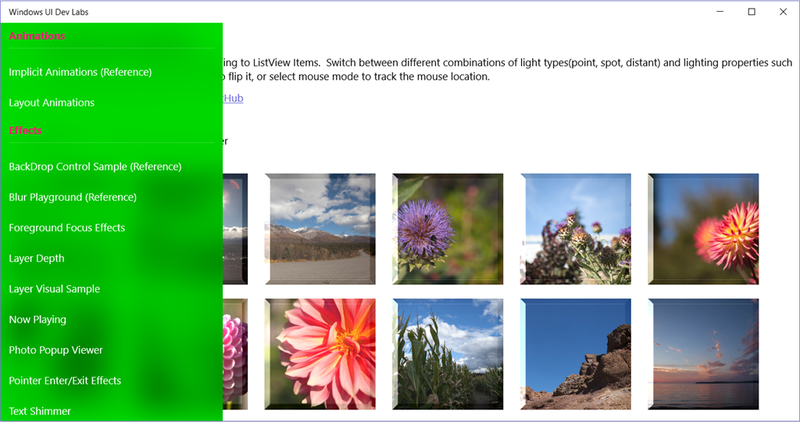 The BackDrop control is XAML-wise a very lightweight control: it derives from Control and has no UI elements of its own – so there’s no style or template for it. BlurAmount double Gets or sets the amount of blur to apply on the background. TintColor Color Gets or sets the color for the ColorSource effect. The Alpha value will be ignored. 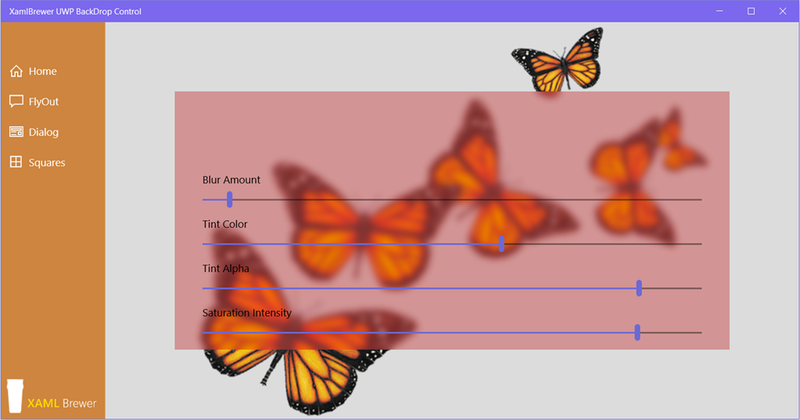 TintAlpha int Gets or sets the transparency of the TintColor. SaturationIntensity double Gets or sets the saturation. 0 is monochrome. The main purpose of the BackDrop control is to be used as background for different panels, e.g. a Flyout. Here’s a screenshot of the Flyout page of the sample app. This page demonstrates the impact of BackDrop control. 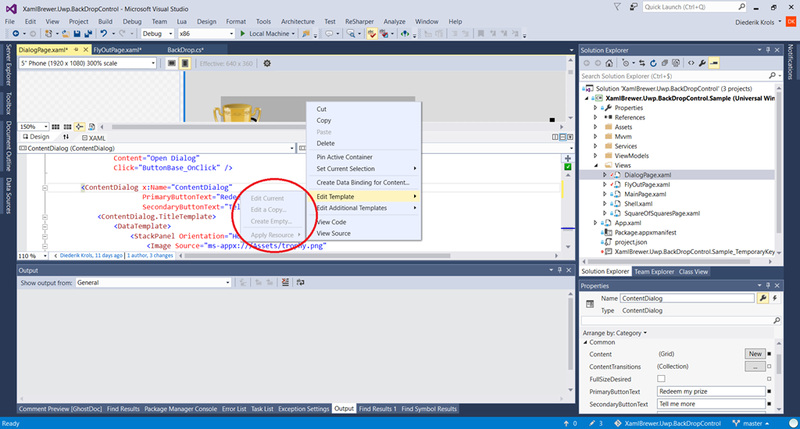 It shows the same content in two panels: the panel on the left has a BackDrop in its XAML, the panel on the right doesn’t. When you look at the Memory Usage Diagnostic Tool in Visual Studio, you’ll notice that this page indeed consumes some extra memory, but it’s not a really significant amount of megabytes and most of it (not all!) is rapidly released. Anyway, this single page has more BackDrop controls than you’ll ever need in an app, so I assume it’s pretty safe to use it. 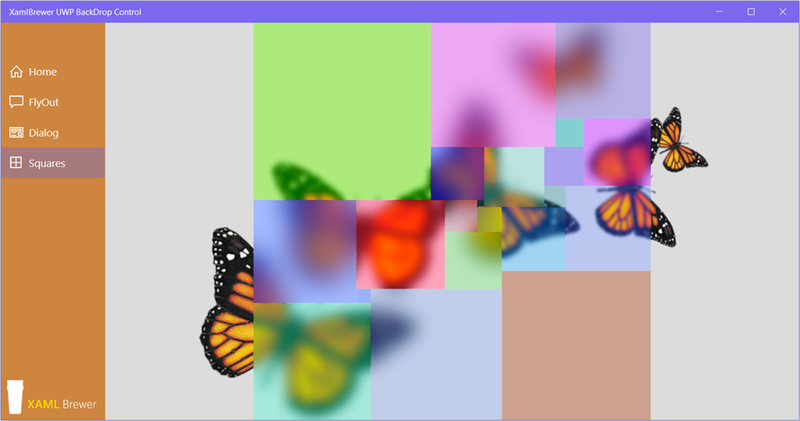 My version of the BackDrop control and its sample app live here on GitHub. The control is in its own library, for easy reuse. Make sure to have Anniversary Update or higher, and reference the Win2D UWP NuGet package. 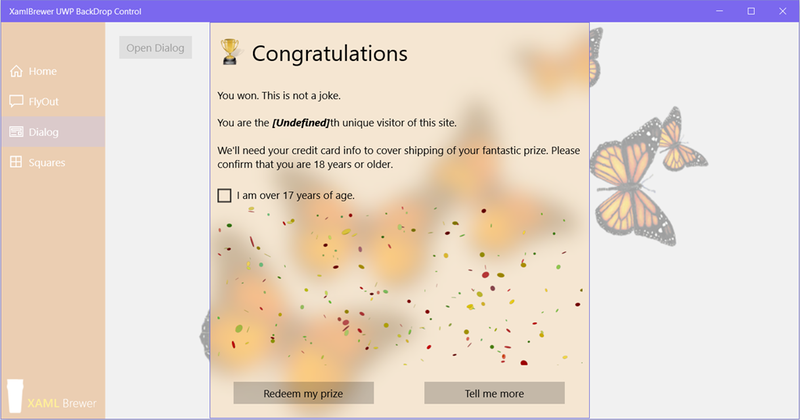 This entry was posted in Composition API, User Controls, UWP on November 28, 2016 by xamlbrewer.